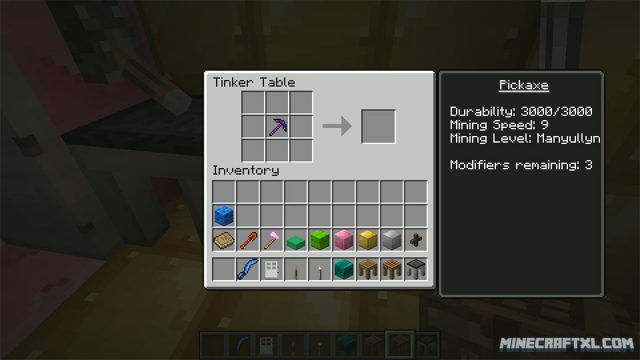 Tinkers’ Construct is a mod about setting tools together in a variety of ways, then modifying them until they turn into something else. The tools you create will never disappear. They can be named and changed to anything you like. Once they are created, they are permanently there. 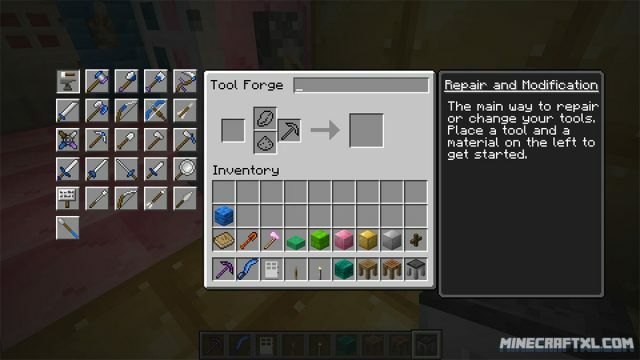 Many different materials can be used to make tools. You will be able to create new tools that serves completely new purposes, helping you in your quest in to tame the world. 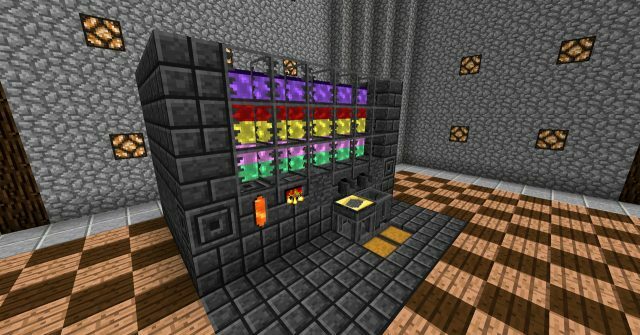 As stated, the mod also includes a whole bunch of new blocks, such as slime blocks, cobalt blocks, aluminium blocks and much more, some of them with unique and special qualities. 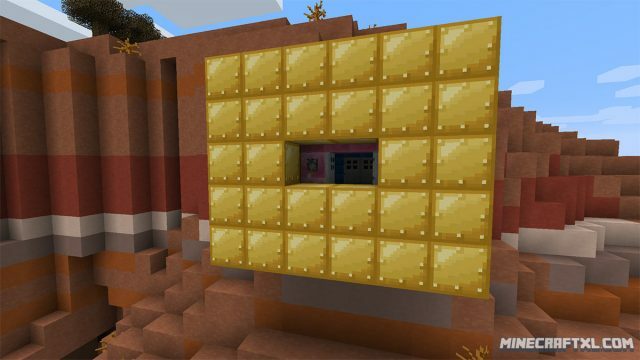 Q: The Smeltery is missing!? A: Go to your config directory. There you will find TinkerModules.cfg. Enable the Smeltery there. Q: Where did Copper, Tin, Aluminum,… go? A: Tinkers’ does not add any ore generation besides Cobalt and Ardite anymore. It does however support any mods that add them automatically. 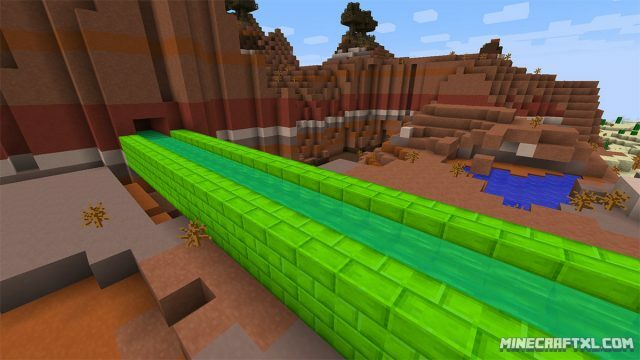 A: Active development always focuses on the current version of Minecraft. There will be no backports to older versions. Q: Optifine crashes my game with Tinkers’! A: Optifine changes how rendering works. If it crashes the game, there is nothing to do about it. Tinkers’ Construct does not use any special rendering. 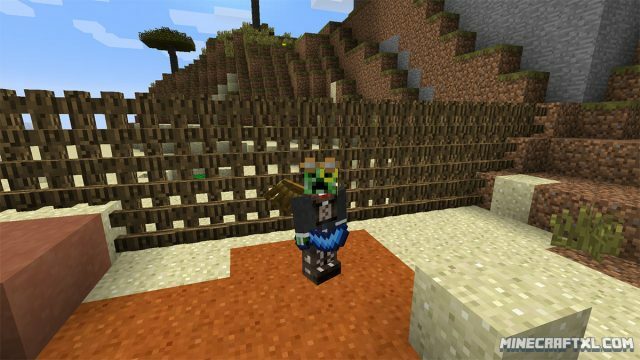 Make sure Minecraft Forge is intalled. Open your Minecraft folder (in Windows: Start -> Run -> “%appdata%\.minecraft”). 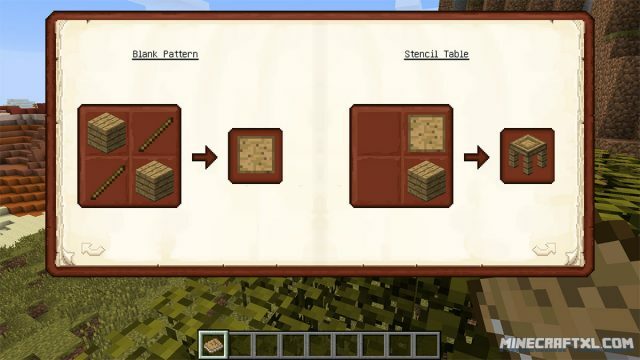 Copy the mod .jar file you downloaded to the “mods” folder, found inside the .minecraft folder. That’s all, Tinkers Construct should now be installed and ready for use, have fun and enjoy the mod!